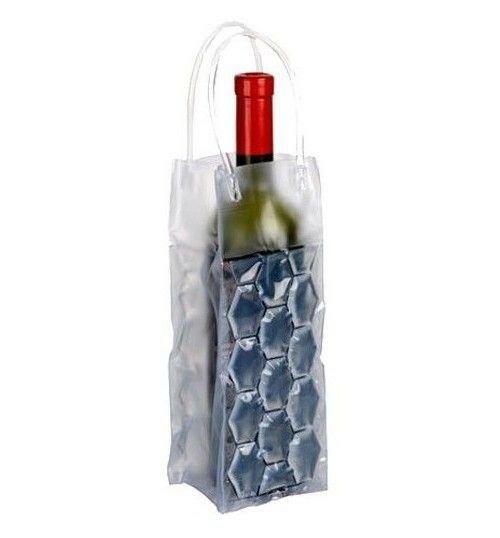 Useful and nice gift idea to carry your bottle cool. The technical material allows to maintain unchanged the temperature of the bottle for a long time. For maximum effect storing the ice bag in the freezer before using it. Note: This does not include bottles of wine. Ice bag Bottle Holder. Useful and nice gift idea to carry your bottle cool. The technical material allows to maintain unchanged the temperature of the bottle for a long time. For maximum effect storing the ice bag in the freezer before using it. Note: This does not include bottles of wine.